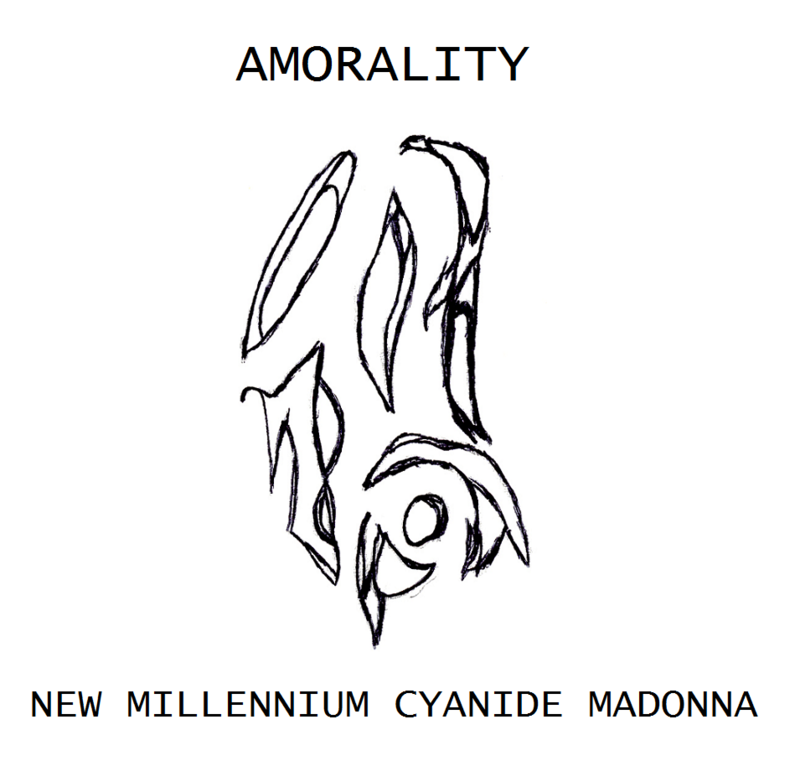 the last one that catched the attention of YIKIS is this one by Amorality. First we find a track called ‘L’ultima conquista della testa alata’, it creates the ultimate shock of terror by simply giving the listener a well prepared heart attack. First seducing the ears with a soft warm heartbeat, some sensible words in the Italian language and then when you least expect it a distorted flute or horn or something blow-able that made me fall of my chair from pure shock! Thank you; now I don’t need to drink an Italian espresso to wake up! It looks like the instrument is feeling guilty and is trying to make it up without being distorted. Is this without it’s camouflage the loveable sound of an authentic saxophone? It plays the lovely work of ‘Summertime’ that simply captures my ears with the soft Italian touch and flavor. Suddenly I feel like I’m being teleported to a cafe with the aroma of fresh Italian coffee beans brewing in the corner.. Perhaps I do order a espresso, just to keep in style! Hey is that Chet Baker sitting in the corner? On A proposito delle cose brutte della vita I hear someone playing a soft guitar in the corner, while my ears see an old fashioned telephone hanging of its hook. A television jumps on but seems to be broken. I really feel like this recording transported me to a bar in Rome in the late sixties. I have to admit I’m too young to know how it was back then, but I guess that makes me appreciate this recording in time even a bit more. What follows up is ‘crash’ that first sounds like someone behind the kitchen bar is using the lids of some big pasta pans to create some nice crashes. But then the whole sweet vision of time and space start to crash as the whole sound starts to twirl around in some nightmarish escapade. What the hell was inside that espresso? The horn dressed in the sound that earlier on gave me a wakeup call (read: heart attack) comes back and seems to almost laugh in my face with a funny sounding silliness. Consistency Unchanged? I think it is time for another espresso! While the water boils up through the coffee powder I really feel like smoking a cigarette. Even though the smoking ban has also hit Italy hard, in this smooth soundrecording of muffled lofi music it seems like it’s the right thing to do. Huff and puff away the smoke until the next track will enter the speakers..
With ‘Strudio’ I keep on smoking in combination with drinking a new cup of espresso. You know smoking and espresso in the morning before breakfast makes you want to go to the toilet, but luckily this is all just a fantasy. In reality I’m stuck here listening to the sound of a base and the friendly sounding instrument. Than a track called ‘Coerenza’ comes in and simply keeps the relaxing mood. There is in fact not a lot of things that I could write about this actual release or the tracks as they seem to be like recordings that are trying to transport the listener to a period in Italian history, where everything is fine and relaxed. The shock elements that sometimes occur in this release are like what I consider a bad connection with the time machine. This entry was posted in acoustic, audio collage, avantgarde, experimental, folk and tagged experimental, lofi, soundscape. Bookmark the permalink.